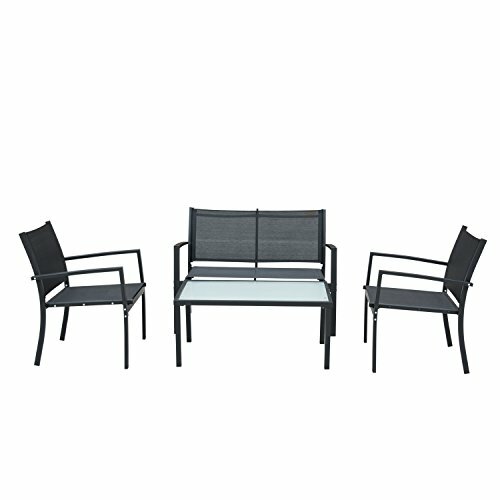 Turn your outdoor space into a relaxing lounge area with this 4 piece outdoor seating set. The set includes a loveseat, 2 Club chairs, and a coffee table with glass top. This outdoor furniture set features removable soft seat cushions for added comfort and is built with a rust resistant powder coated steel frame for extra durability. Materials: Powder Coated steel, textilene fabric, Tempering glass coffee table top.